The SKY implant system’s success story has its origins in the early 2000s. Today 15 years later, the bredent group is the global leader in immediate restorations, having sold over 1 million implants, and a trendsetter for prosthetic restorations with physiological materials, such as BioHPP, and for regeneration with the HELBO antibacterial photodynamic therapy. The launch of the sophisticated restoration concept for edentulous jaws or jaws that are becoming edentulous, called SKY fast & fixed, in 2007 was a milestone with regard to effective restoration in patients aged over 50. This patient group, facing edentulism, but still too young for removable dental prostheses, is growing ever larger. Success was not unexpected, as this concept ties in with the bredent group’s core competences – implantology and almost 45 years of experience in dental technology, the cradle of this successful medium-sized family company. Today, implantologists and dental technicians trust a tried and tested, coordinated system that can be successfully integrated into dental practice from the start. Well over 50,000 satisfied restoration patients in the last 11 years are testament to the procedure’s success and safety. In addition to in-depth training, interested implantologists also receive tried and tested concepts that sustainability support their commercial success and increase patient satisfaction from the bredent group. Since the development of the SKY implant system in 2002 by Star Group International, a company founded by Dr Manfred Lang, and the subsequent cooperation with bredent medical in 2004, the SKY implant system has been consistently improved, particularly with regard to implant-supported prosthetics. The bredent group’s engineers have redefined the prosthetic restoration workflow, e.g. with the one time therapy, and with the SKY elegance abutment, offer a hybrid component that no longer needs to be changed between the surgical and prosthetic phases, and therefore enables optimal gingiva management. 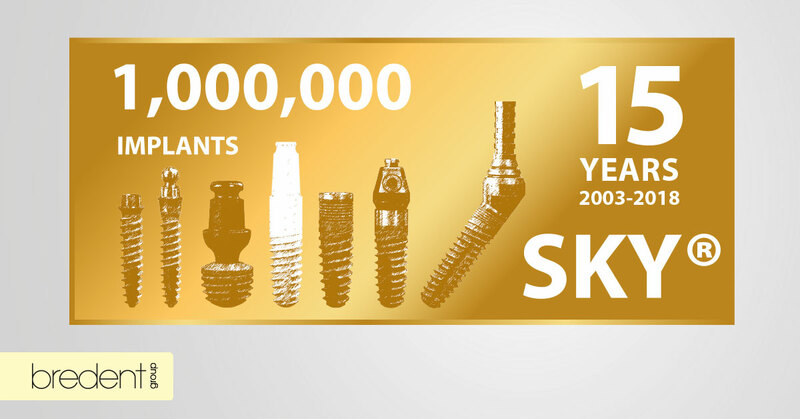 And, so, after 15 years the SKY implant system, in an ever more sustainable way, stands for simplicity, clarity and economic feasibility – which increases process safety in practices and boosts commercial success.